Patchouli is used almost exclusively in externally applications, as a herb infused oil, or the essential oil. Patchouli gained a certain reputation in the 60's and 70's as the preferred scent for Deadheads and hippies, perhaps because it's pungent scent was thought to mask the smell of cannabis. Patchouli is known for healing of dry and itching skin, controling appetite, and to relieve depression. Personal reactions to the scent of patchouli seem to vary, people either love the scent or detest it. 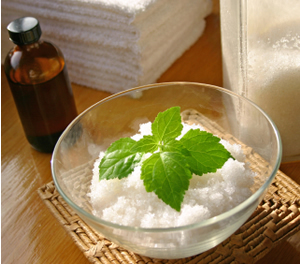 Preparation Methods & Dosage :Patchouli oil improves with age and is used as a base note in aromatherapy oils. 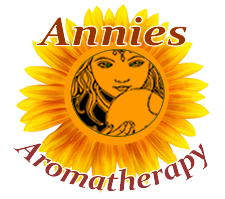 The aromatic leaves can also be used in herbal infused oils, and bath herbs for skin care. The aroma is very intense; it can be described as earthy, rich, sweet, balsamic, woody and spicy. A valuable modifier in blends containing floral or herbaceous oils. Patchouli oil is one of the few essential oils that improve with age. Etymology: From the Greek pogon - bearn, and stemon , stamen refers to the bearded filaments. Flowers/Fruit/Seeds:Spikes of white, violet marked flowers with violet stamens. Pogostemon is a mint relative that prefers a shady spot in the garden. Widely cultivated in India, it can be grown as a contain plant in areas that experience a cold frost. Propagate by cuttings. 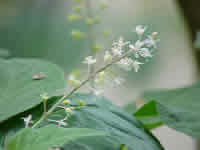 Once used to distinguish imports from India patchouli also helped to repel insects from cloth fabrics. Popular in the fashions of Europe in the mid 1800's, and in counter culture in America's turbulent 1960s.